Material: Air-permeable and long-lasting lightweight concrete, designed for underground installation. 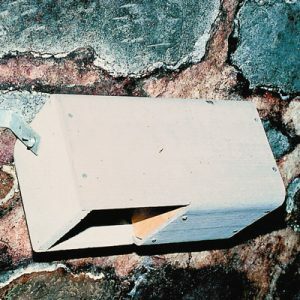 Design: The floor of both the Nest Box and Tunnel have a fine mesh grid to keep out Rodents. 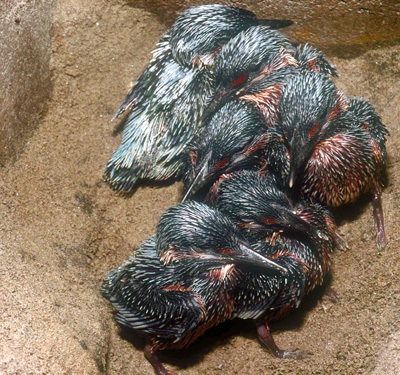 The nesting chamber is protected with a removable lid for cleaning. 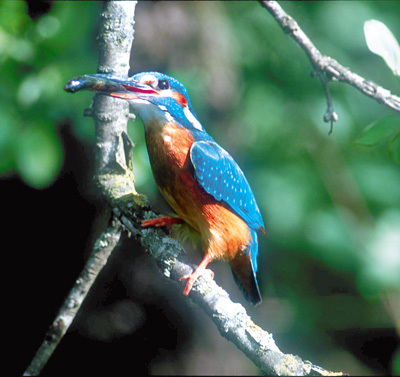 Kingfisher nesting habits: This “flying” jewel tends to use two different tunnels or tubes for its first and second brood. 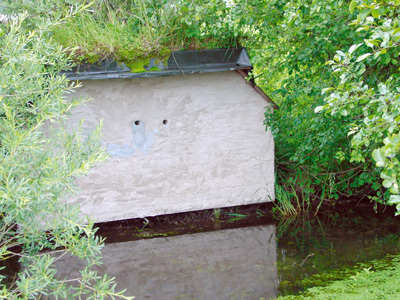 It is therefore advisable to put two Nest Tunnels in the same steep slope, keeping them at least 70 cm apart. Sand Martin nesting habits: Colonies of never less than 12 breeding pairs of Sand Martins congregate on natural moving water or on naturally formed cliffs, as well as in gravel and clay pits. The Nest Tunnel is supplied with detailed installation and maintenance instructions. 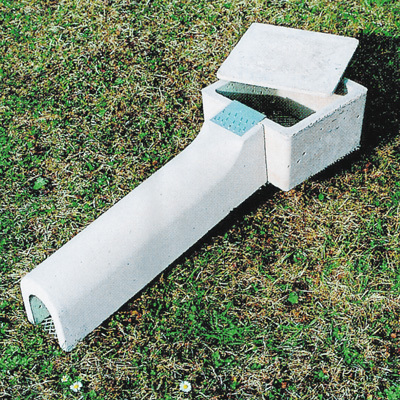 External dimensions of tunnel: W 12.5 length x H 15 x L 58 cm. 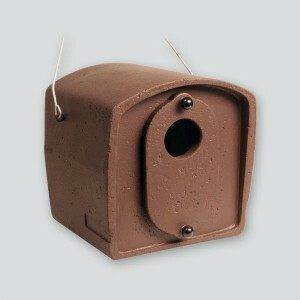 Outer nesting chamber: W 26 x H 17 x L 26 cm. Inner nesting chamber: W 22 x H 14 x L 22 cm.